The shackles of regionalism and tribalism that so divided Papua New Guinea have been broken. Tears fell freely for most. 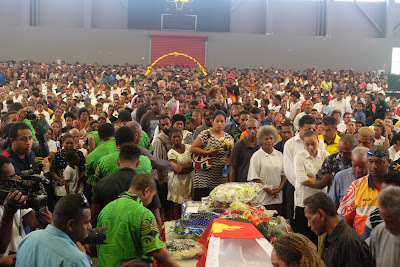 A moment they shall never forget, as s the death of our champion brought together a nation. 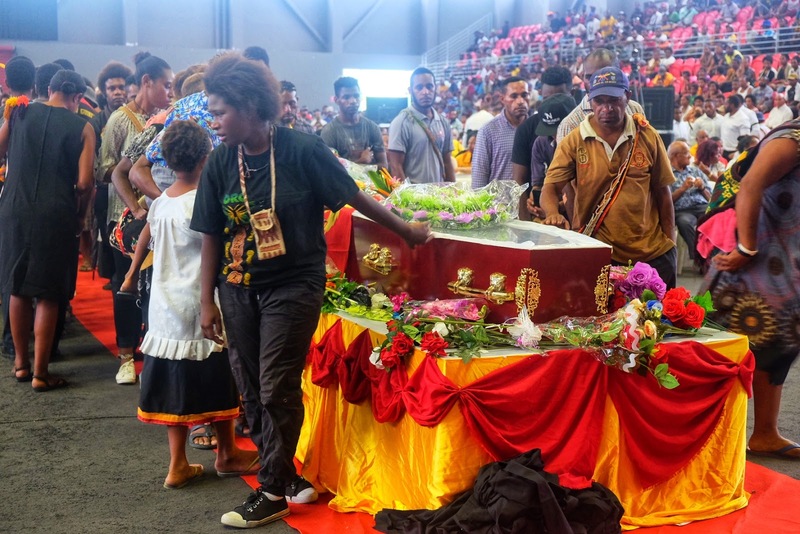 It has taken the life of a 23-year-old rugby league star to do that. Papua New Guinea international Kato Ottio died on Tuesday after he collapsed at training in Port Moresby. 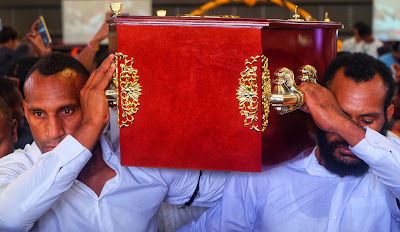 The sight that moved everyone to tears. 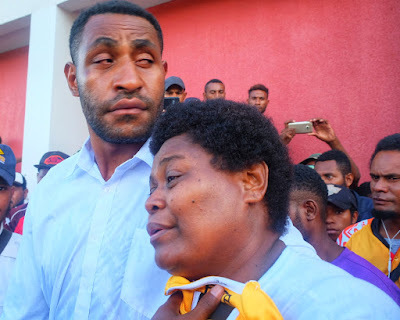 Joyce Ottio, mother of Kumuls' superstar Kato Ottio, is comforted by Widnes Vikings-bound Wellington Albert after the funeral service at Sir John Guise Stadium. 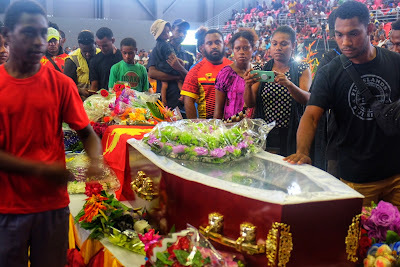 Ottio and Albert were to have left for England on Thursday, but for Ottio's death. 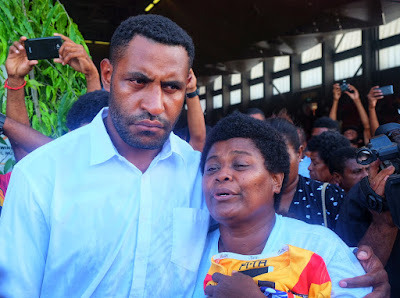 Ottio spent the last two years with the Canberra Raiders and had just signed with English Super League club Widnes Vikings following his stellar World Cup campaign. 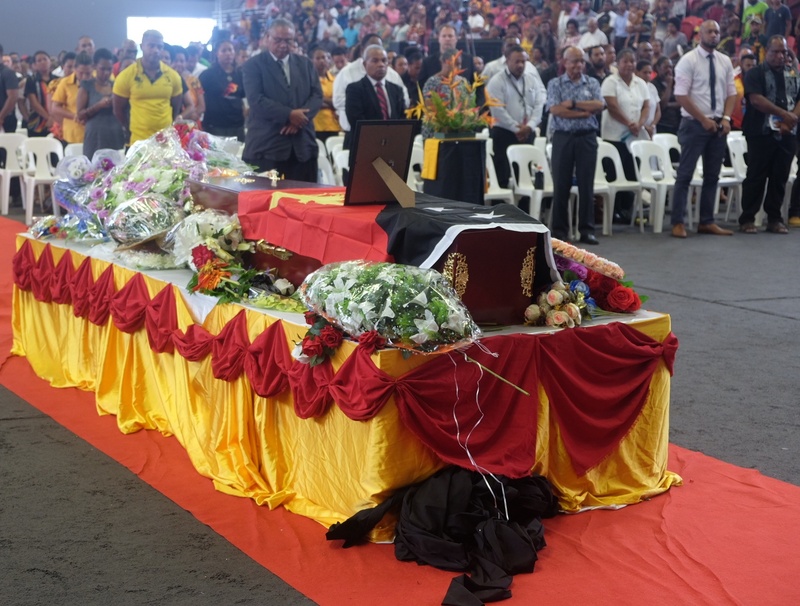 Thousands of people gathered at the Sir John Guise Indoor Stadium on Friday to pay their final respects to a young man who had so touched our lives with his performance during the World Cup. Hunters' and Kumuls' coach Michael Marum breaks down as he hands Kato Ottio's red, black and gold jumper to his mother Joyce Ottio at Friday's funeral service. Tears fell freely for most, a moment they shall never forget, as the death of our champion brought together a nation. We came together. All shackles of regionalism and tribalism broken. 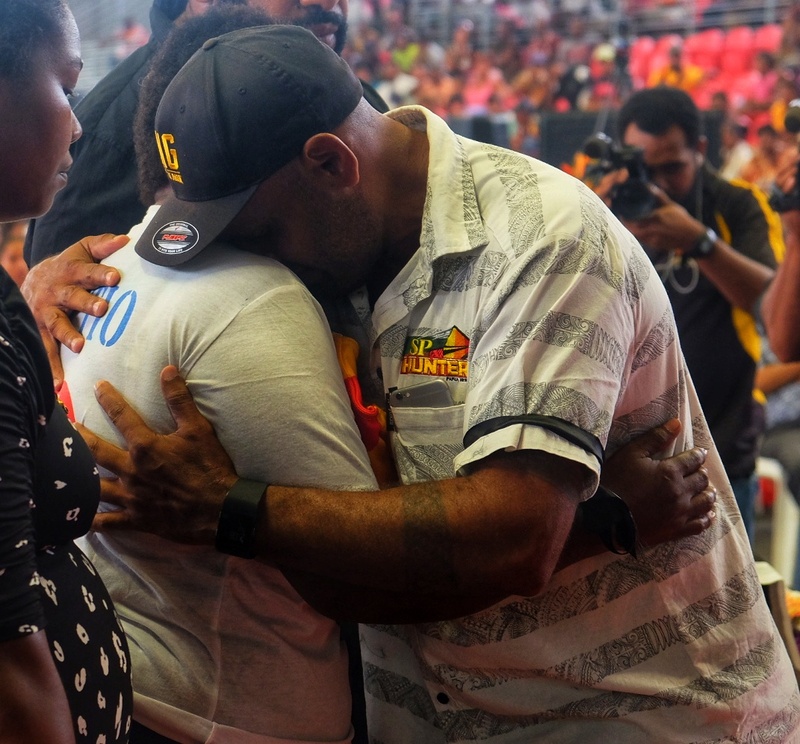 It had taken the life of a young man, who touched us all with his rugby league skills, to bring us together. Ottio and PNG Kumuls' teammate Wellington Albert were to have left for England on Thursday after signing up with the Vikings last month. 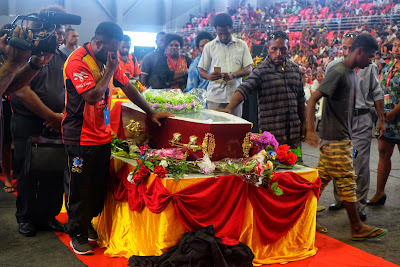 He ain't heavy, he's my brother: Kumuls' team mates carry the casket of Kato Ottio out of the Sir John Guise Stadium. Ottio will be buried at his Tatana village in Port Moresby next Tuesday. Farewell Kato Ottio. Thank you for the wonderful memories. 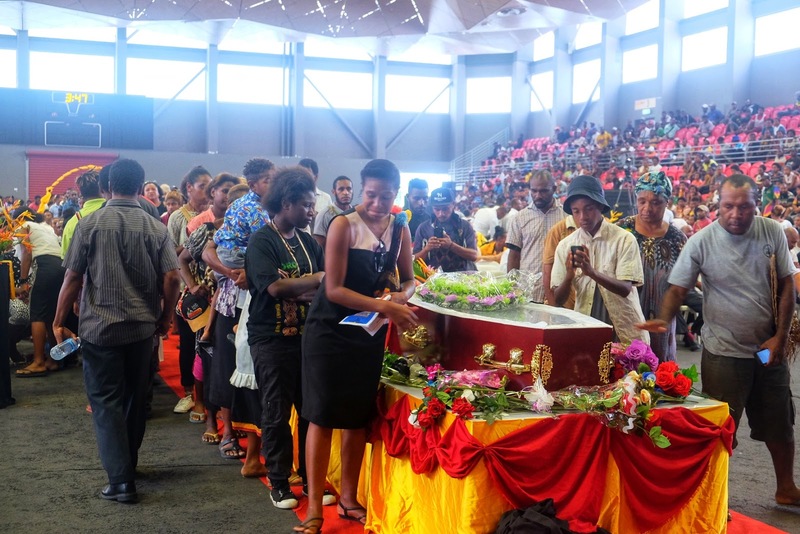 Respect: Hundreds line up Sir John Guise Drive as the hearse carrying the body of Kato Ottio leaves after the funeral service at the indoor stadium. 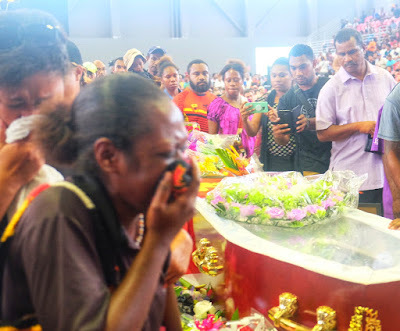 North Coast Aviation Pilot David Tong, who lost his life in the rugged Saruwaged Range of Morobe in the Dec 23 air crash, was not just an ordinary aviator. He was one of the top pianists in Australia and the world. 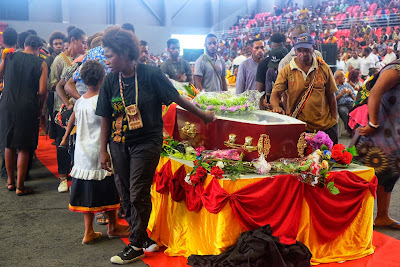 He could have chosen to remain in the top music halls of the world but opted to fly in Papua New Guinea. 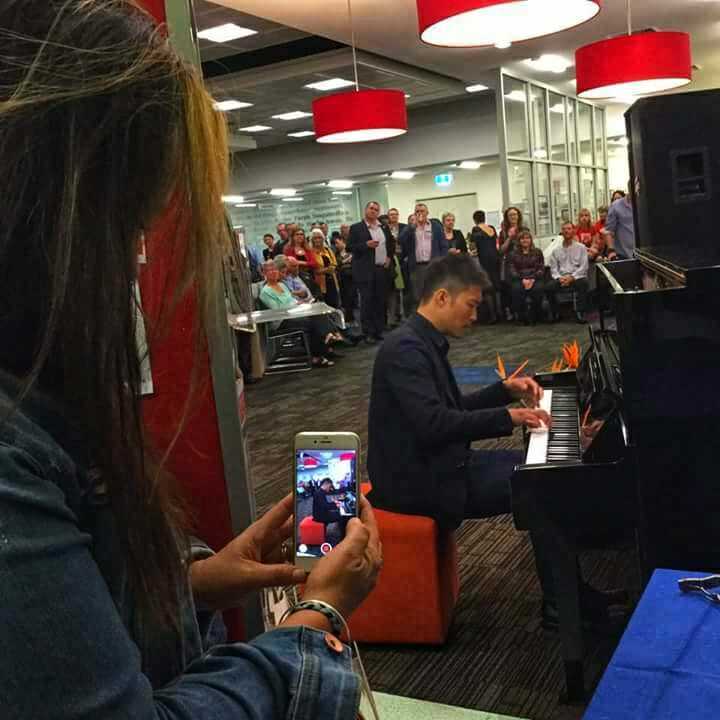 David Tong the pianist at a concert.-Picture by Greater Geraldton Regional Library website. That fact about Tong’s life became known after his death. 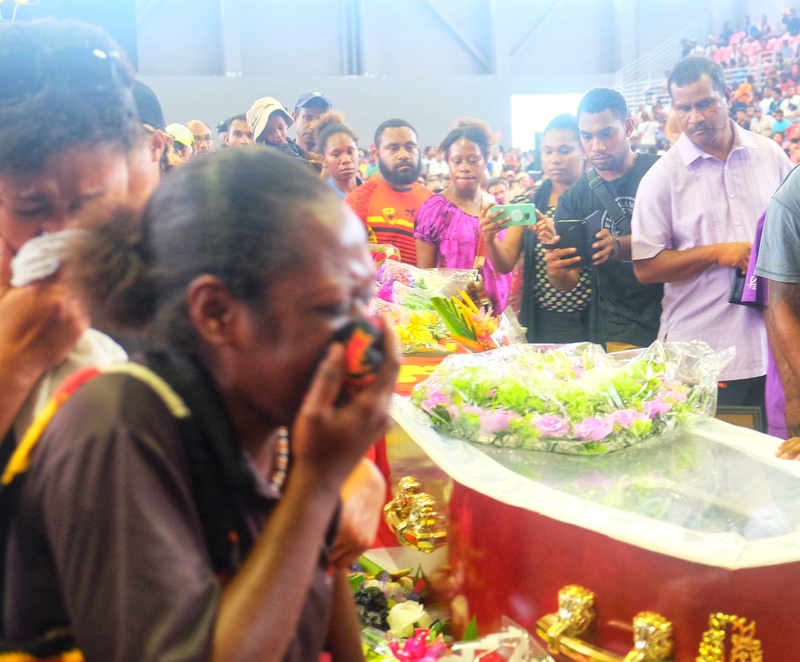 His body, meantime, remain at the funeral home in Lae until funeral arrangements are made this week. According to the Greater Geraldton Regional Library website of Australia: “Born in Macao in 1983, David Tong migrated to Australia in 1988 and soon began taking piano lessons. “Following an extensive period of study, he went on to study at the prominent Juilliard School of Music in New York and was awarded the Vladimir Horowitz scholarship. 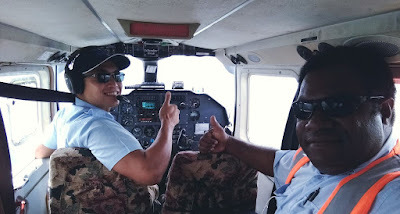 Since 2014, Tong had worked as a commercial pilot. 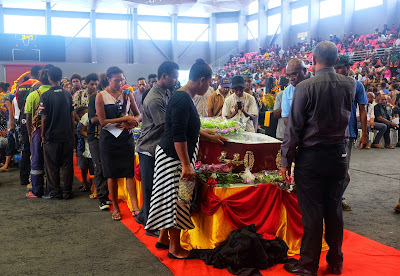 He was based in Geraldton and worked as a line pilot for Geraldton Air Charter before moving to PNG in 2016 to join North Coast Aviation. 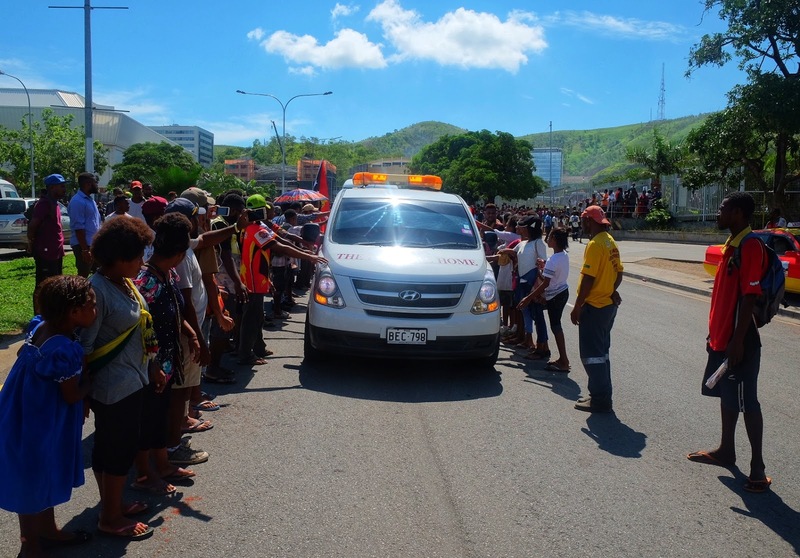 Tong, 34, survived the crash and made calls on his mobile but bad weather prevented rescuers from reaching him for three days. The pianist Zsolt Bognar writes: “It is with great sadness that I learn my old friend David Tong was found dead on Tuesday from injuries sustained in a plane crash. “I remember first meeting him in Texas in 2001 and being struck by his sunshine-filled spirit, his strong Australian accent, and vivacious temperament. “He was an incredible pianist with a breathtaking technique–I remember how he burst into my practice room and deployed Chopin Etudes with ease–and as a human being and friend he will be missed.